CC BCC Weekend Sales + Unofficial After Party! Unofficial Comic Shop After Party! 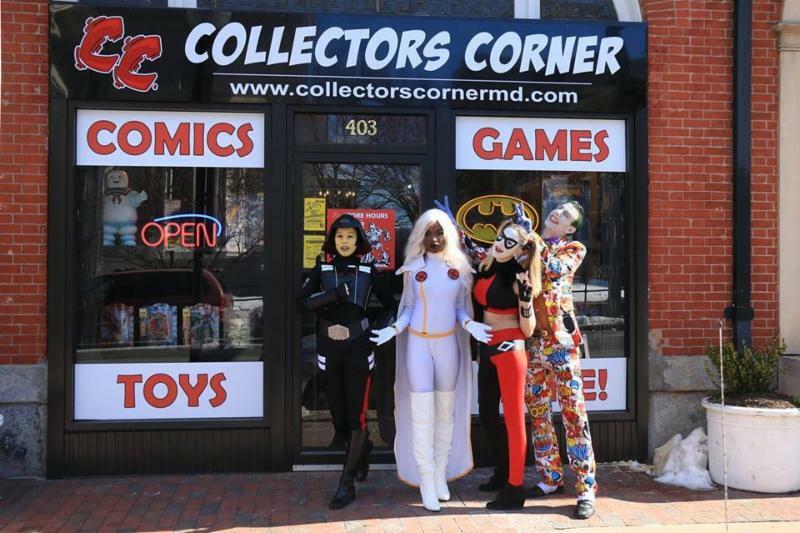 Mingle with comic book fans in the area for Baltimore Comic Con at our Downtown Store Location! 1st Place - $50 CC Store Gift Card. 2nd Place - $25 CC Store Gift Card. 3rd Place - $25 CC Store Gift Card. 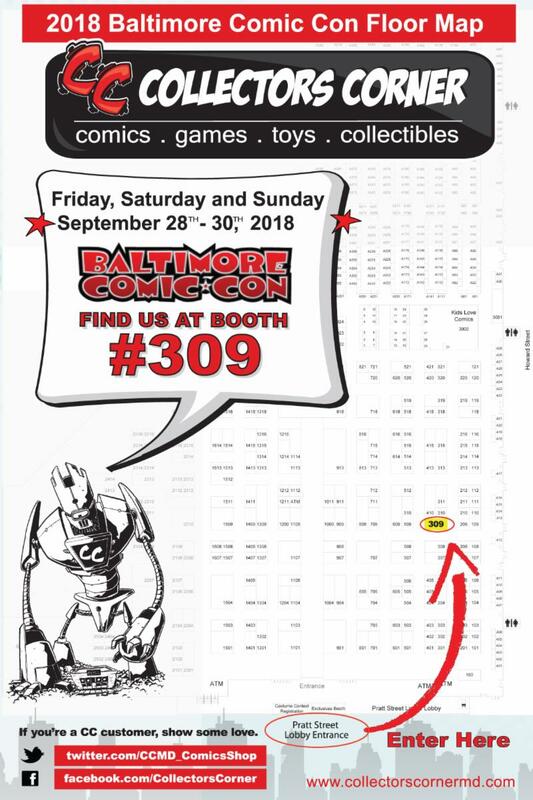 Receive an Event Ticket/Coupon from us during the Convention at our Booth (#309) to receive 50% off any 1 item of your choice at CC Baltimore - Outpost Store Location Located just Block from Baltimore Comic Con/Baltimore Convention Center. 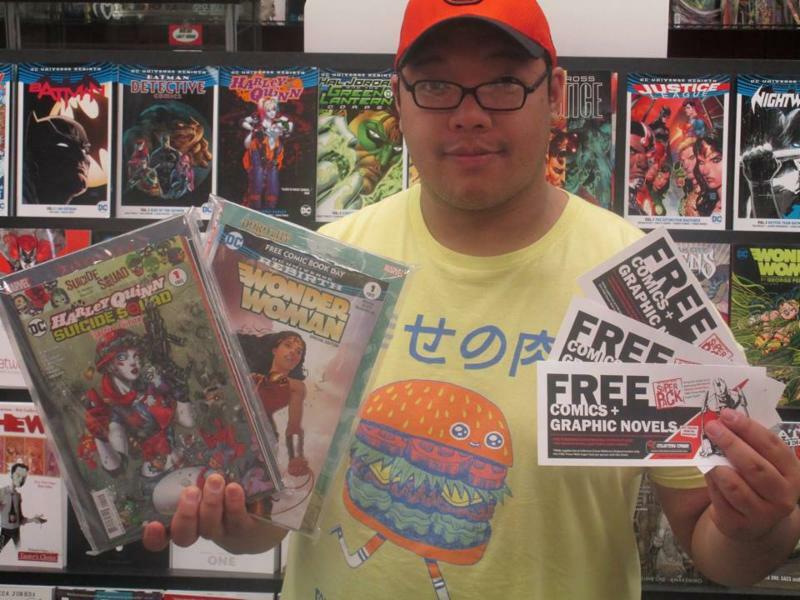 Also Visit our Booth #309 for a Free Power Walk Super Pack Coupon to recieve a Free Pack of Graphic Novels & Comics Totally Free Just for Visiting our Downtown Store Location while Supplie Last during BCC Weekend! 25% Off ALL Softcover Graphic Novels & Trade Paperbacks Excluding New This Week. VISIT BOOTH #309 to get a Coupon to PICK them Up at CC BAltimore - Outpost! Are you in town for Baltimore Comic-Con? Get FREE COMICS & FREE GRAPHIC NOVELS Just by Stopping by the Comic Book Store Closest to the Convention! Stop by Collectors Corner Booth #309 and get a CC Power Walk Super Pack ticket to Redeem a *FREE COMICS & GRAPHIC NOVELS Power Walk Super Pack at Collectors Corner - Baltimore 403 North Charles Street. Map on Back of Ticket makes us easy to find. Just 7 Blocks from the Baltimore Convention Center it's a short walk towards the Washington Monument on Charles Street. Stop by David and Dad's Cafe on the way. *Power Walk Super Packs will contain at least 2 New Graphic Novels & 3 Comics Per Pack. * While Supplies Last at CC Baltimore Outpost Location Only. 1 FREE Power Walk Super Pack Per Person with Ticket acquires at CC Both #309. Plus SAVE with BCC Weekend Store-wide Sales at All 3 Collectors Corner Locations! Visit the Closest Comic Book Store to the Baltimore Comic Con while you are in town. Open Friday & Saturday til 9:00 PM, and Sunday til 5:00 PM.